The Northwestern Medicine Center for Comprehensive Gynecology (CCG) promotes wellness for women by combining education and extraordinary multidisciplinary expertise for the diagnosis and treatment of fibroids, endometriosis, ovarian cysts, sexual disorders and menopause. Our specialists offer leading-edge treatments for gynecologic conditions, including minimally invasive gynecologic surgery. By integrating research, education, and clinical expertise, CCG will offer patients the ability to receive treatment for a wide range of gynecologic conditions in a setting that addresses each woman's unique needs and concerns. Seven floors of enclosed patient and visitor parking, off-street valet parking and a patient pick-up and drop-off area located in the covered drive through. You can validate your ticket at the customer service desks on the first and second floors. There are multiple transportation options to serve you. Learn more about our accessibility resources. 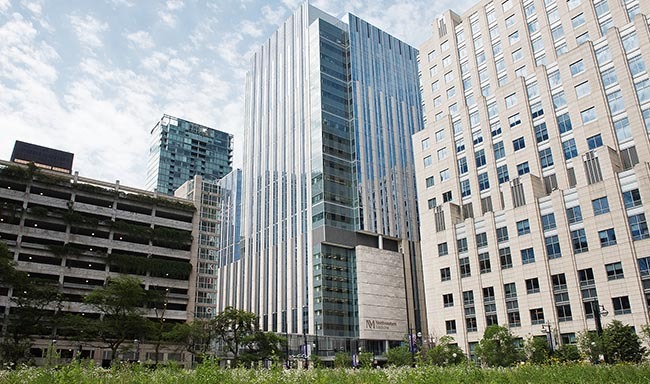 Northwestern Medicine offers several amenities, including flower and gift shops, online services and food and beverage options, for your convenience. Download our Services and Amenities Map. Download our Services and Amenities Map.